We construct extensions of the Standard Model with two Higgs doublets, where there are flavour changing neutral currents both in the quark and leptonic sectors, with their strength fixed by the fermion mixing matrices V CKM and V PMNS. These models are an extension to the leptonic sector of the class of models previously considered by Branco, Grimus and Lavoura, for the quark sector. We consider both the cases of Dirac and Majorana neutrinos and identify the minimal discrete symmetry required in order to implement the models in a natural way. G.C. 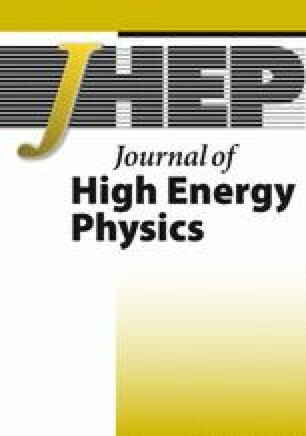 Branco et al., Theory and phenomenology of two-Higgs-doublet models, arXiv:1106.0034 [SPIRES]. T. Yanagida, Horizontal gauge symmetry and masses of neutrinos, in Proceedings of the Workshop on the Baryon Number of the Universe and Unified Theories, Tsukuba Japan, 13–14 Feb. 1979 [SPIRES].